On first counseling of the Uttarakhand Govt. Collages overall 340 students will be invited and then the second counseling will be organized. 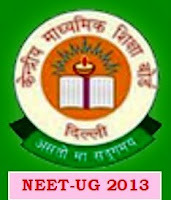 As per the director of Medical Education unit, the complete details of result of NEET-UG will be providing in one or two days. And after that the counseling dates will be publish. And the counseling will be held on July Month. And if any seat will be remains empty then the second counseling will be organized. Every student must provide their Domicile Certificates with all the required documents before the admission. Click here to more details about NEET-UG Counseling in Uttarakhand 2013. For more details you can follow us by email, our updates will be directly sent to you. I have got 244th rank in CBSE NEET Exam in Uttarakhand state in General category. what are my chances to get admission in Uttarakhand. Can i get admission in govt. college in general category? Kindly guide & advise. I have got 68th rank in CBSE NEET Exam in Uttarakhand state in General category ( Female)Can i get admission in govt. college in general category? Pls advise. and counselling dates and the documents to be carried at the time of counselling.Please reply soon on my email id "geetasharma39015@gmail.com"
Sir my cbse neet state rank is 145.Do i have chances of getting mbbs in govt college? ?Sir i also want to know about the counselling date and counselling procedure and abt the documents to be carried at the time of counselling.Please reply soon on my email address "geetasharma39015@gmail.com"
Sir my neet state rank is 145 .Do i have any chance of getting mbbs college. sir can i know the exact date of when uttarakhad will publish their neet counselling letter & the last date for registering the same. Sir, My..Sc Category rank is 24850..
nd My delhi rank is 4015..
Sir i have got 195 marks & 80.12 percentile in NEET Exam. My sc category rank in Uttrakhand State is 196. I live in Delhi so please tell me what are my chances to get admission in MBBS in Uttrakhand in Government college. My daughter got 500 rank in uttrakhand being a sc candidate is their any chance to get admission in any Govt. medical College. sir my sis has 751 OBC category rank i uttrakhand , she has 47 percentile , wich clg she is likely to get mail me at piyush.2224@gmail.com or reply. My NEET Uttarakhand rank is 702. Do I have to register with Uttarakhand Medical Department for seeking admission in government colleges of Uttarakhand? sir i have got 101 OBC category rank in neet with 95.79 percentile can i get MBBS govt. seat in uttrakhand. plz reply as soon as possible on my email- sunilsaini2605@gmail.com from - AAYUSHI SAINI. category rank in SC is 527,NEET UG marks IS 134. May get admission in govt. college of uttarakhand. sir u haven't reply till today plzzz reply soon....!!!! The Uttarakhand State Quota ranking of my daughter is 463 and her category ranking is 388. She falls in unreserved category. Is there any chance for getting MBBS Seat in Govt. Medical College in Uttarakhand? Please also clarify the date of commencing counselling for MBBS-UG Course 2013-14. Sir plzz tell me is there any chances of getting admission in uttrakhand private dental college..
sir i have got 578 rank in uttarakhand..so can i get admission in mbbs or bds in any of the course in medical college.